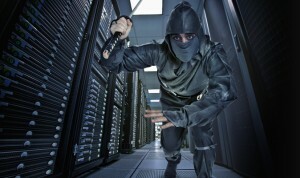 How To Defend Your Server From Ddos Attacks? It should be the busiest day of the year for your business but still your website has suddenly shutdown or is not responding to the user’s requests. These symptoms are a clear indication of DDoS infestation. A DDoS (Distributed Denial of Service) is an attack on the bandwidth of the server causing it to slow down. With the help of a technique called botnet, the hacker can make other innocent computers target a specific website to shut it down by sending enormous data packets that are not legitimate. Such huge data packets block the server ports and these ports become inaccessible to other legitimate users. The attacks of DDoS are getting bigger and bigger every day. According to the Quarterly report of Global DDoS attack, there has been a staggering growth of 22% of DDoS attacks since the last year. There are approximately 7000 DDoS attacks every day around the world. According to recent studies, it has become easier to rent hundreds and thousands of botnets and create ‘zombie’ computers to attack target websites and create an overflow of data packets resulting in blockage of server portals. There are also cheap tools that can be used by people with minimum knowledge about DDoS to stage an attack on a company. You can identify the attack of DDoS by the symptoms shown by the server. The server becomes incapacitated during a DDoS attack. Many wired and wireless connections get disconnected and webpages are unable to open during a DDoS attack. If you encounter such symptoms you should get a DDoS protected dedicated server. No need to get a limited bandwidth for your server. It is always safer to get extra bandwidth so that your server will be able to handle sudden surges of spam or DDoS attacks, but will not falter in providing good service to your clients. Extending your bandwidth by 100% to 500% will still not overcome the incoming DDoS attacks, but will surely get you a few minutes to act on. You can rate limit your router to prevent your web server from being over crowded by DDoS spam requests. You can tell your router to exclude packets that come from obvious sources of attack. Design your website to time-out from half-open connections and dropped spoofed or malwares. Make an informed call to your ISP provider and ask him to help you out from your current position. Your ISP provider has a better understanding about your server and he will help you get a DDoS protected dedicated server. 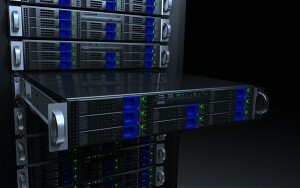 A DDoS protected dedicated server has many advantages of email stability, control, security and high performance. Follow this protocol to maintain a healthy server.